All eyes are on Yahoo. The company, lumbering through an attempted turnaround, has been weighing its next steps. Two big items on the table: whether to spin off its lucrative stake in Alibaba and whether to put its core Internet business on the block. CNBC reported Tuesday that Yahoo's board had decided not to sell off its Alibaba stake and would instead seek a deal for its Internet business. An announcement is expected by Wednesday, according to CNBC. Yahoo didn't immediately respond to CNNMoney's request for comment. 1. Yahoo has a 15% stake in Chinese e-commerce giant Alibaba worth about $30 billion. 2. Selling that stake could generate a lot of money for Yahoo (YHOO) and its shareholders. But, after an unfavorable IRS ruling, it could be subject to a gigantic tax bill of about $10 billion. 3. Activist Yahoo shareholder Starboard Value had once favored selling off Alibaba but now opposes it. If the board decided to sell Yahoo's Alibaba (BABA) stake, it could be faced with a nasty battle from disgruntled shareholders. 4. It's getting to be decision time. Yahoo has previously said it would sell its Alibaba stake in January. If it were to hold to that time frame, Yahoo would need to notify its creditors 35 trading days before selling Alibaba. That works out to this week, according to Robert Peck, managing director of Internet research at SunTrust. Yahoo's core Internet business: Keep it or sell it? 1. Yahoo's sales continue to decline after its ad business was eclipsed by Google (GOOGL) and Facebook (FB) over the past several years. 2. The stock market values Yahoo's Internet business as essentially worthless. Yahoo's market valuation is about $31 billion -- but its stakes in Alibaba and Yahoo Japan are worth a combined $38 billion, leaving its core business worth less than zero. 3. That's why it's unclear who might be interested in Yahoo's Internet business. But Verizon's (VZ) Chief Financial Officer Fran Shammo said Monday that he would "look at it," even if a discussion is premature. 4. Yahoo's board could decide to restructure its core business, particularly in its struggling media unit, according to Re/Code's Kara Swisher. It could cut jobs and shut down some initiatives. Marissa Mayer: Keep her on or show her the door? 1. Yahoo's CEO has been unable to turn the company around in her three-year tenure. She has focused on improving the company's mobile products. 3. 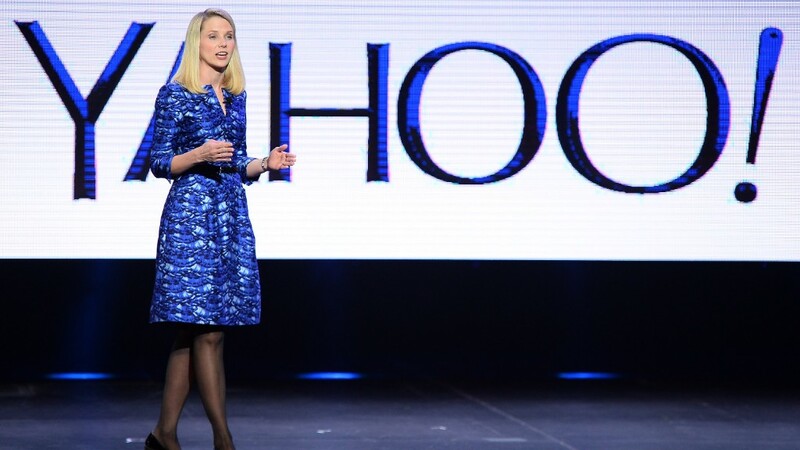 She'll collect $26 million in severance if she's fired ($110 million if Yahoo gets sold). 4. Mayer is due to give birth any day now. 5. Yahoo has had seven different CEOs or acting CEOs in the past 10 years.